A Wesleyan society at Ketley Bank was established by J. W. Fletcher the vicar of Madeley c.1764. 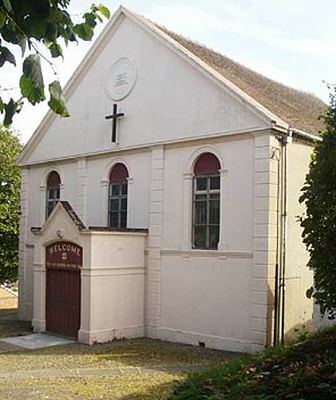 In 1823 this chapel (42 ft x 36 ft and with a gallery at one end) was built on land given by the Duke of Sutherland, and opened on the 11th January 1824. It replaced a former chapel which was in a poor structural state due to subsidence cause by coal mining. The new chapel cost £350. In 1851 it was reported that there were sittings for about 500 worshippers. On Census Sunday 30 March 1851 there were 210 worshippers at their morning service and 110 at their evening service, as well as 50 scholars at their morning meeting and 26 at their evening meeting. The chapel was still in use in 2003, but by September 2005 had closed and by 2018 had been converted to other uses. For a view of the side of the chapel, click here.